For me, nothing beats the holidays, but throw coffee into the mix, and I’m happy as a kid on Christmas morning. 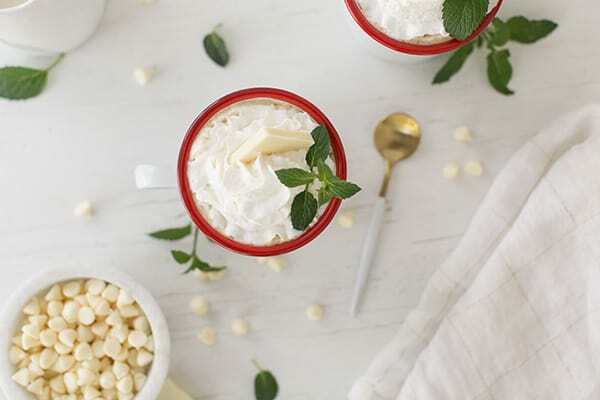 I’ve truly fallen in love with this recipe for the best white chocolate peppermint mocha. 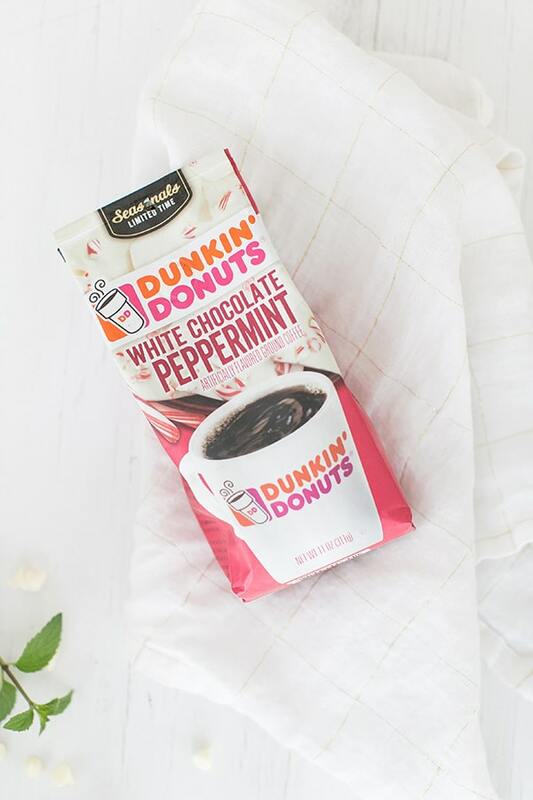 It’s the perfect drink for the holiday season! You will not be disappointed with this recipe. 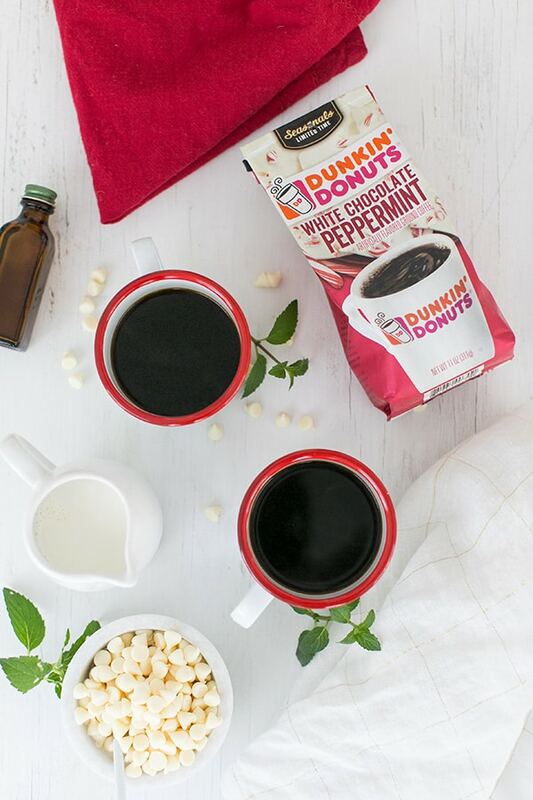 We brewed Dunkin’ Donuts White Chocolate Peppermint coffee mixed with Dunkin’ Dark to get a rich, festive flavor and then poured it over real white chocolate morsels. 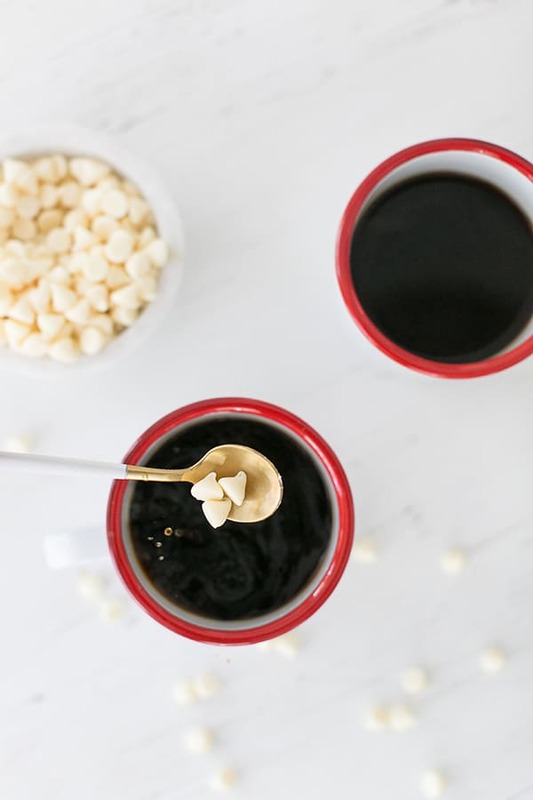 The morsels melt with a quick stir creating a bold white chocolate flavor. 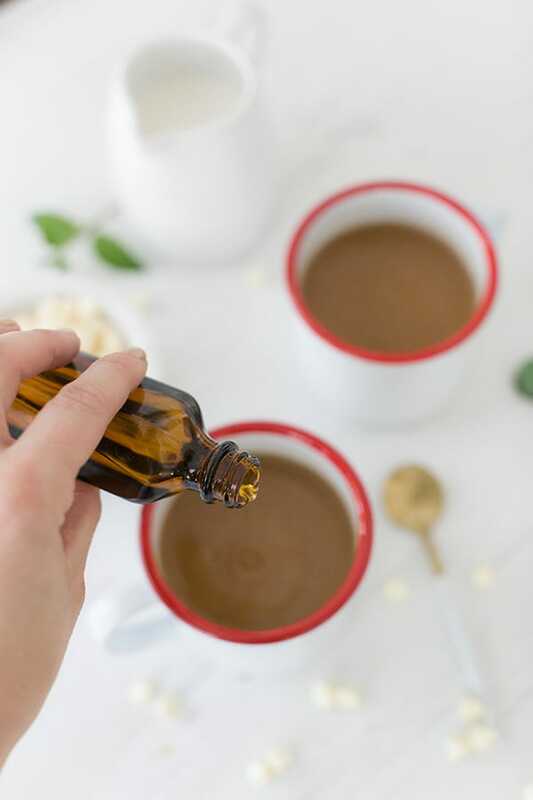 To top it off, I added in a little peppermint extract that gives it a vibrant peppermint flavor. 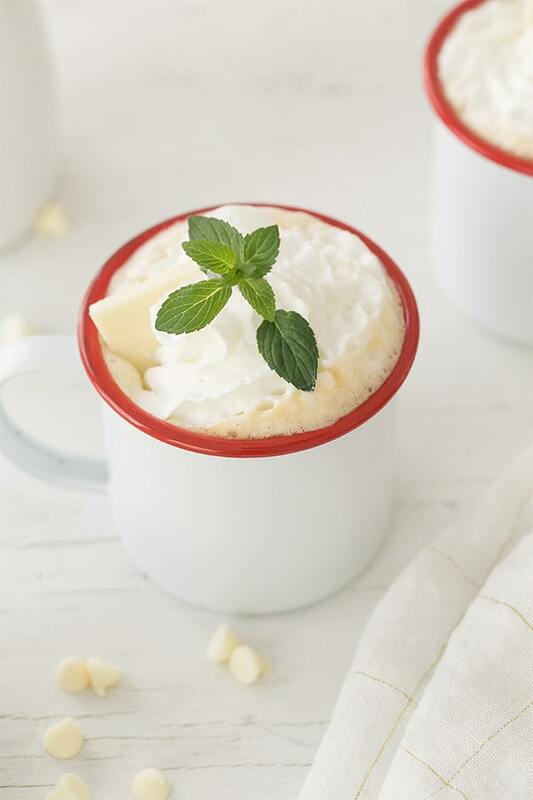 Then a little splash of cream and of course, top off with whipped cream and you have yourself one of the best homemade brewed White Chocolate Peppermint mochas you can make at home! I promise if you try this drink you’ll be super impressed and will probably start craving one every morning like I do! Make it for yourself or for guests this season.Check out our video we made or use the recipe below! Enjoy and stay charming! 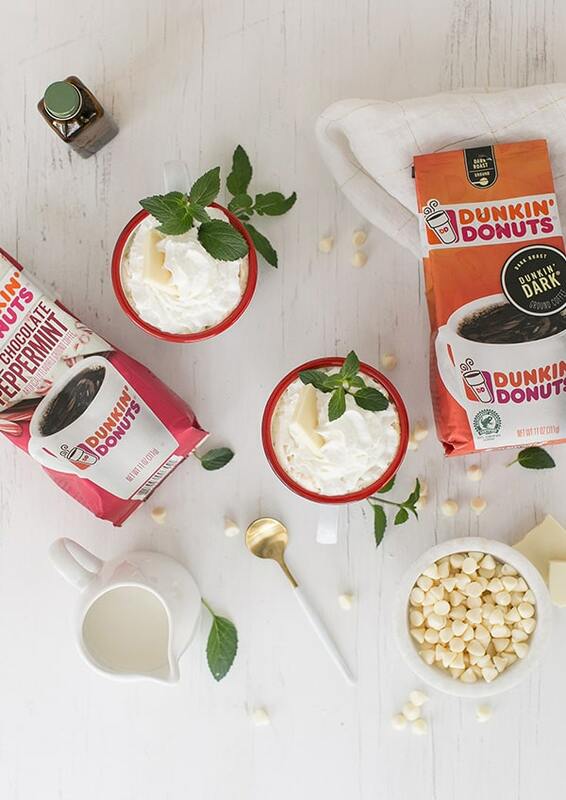 To Brew the Coffee add 6 scoops Dunkin’ Donuts White Chocolate Peppermint, 6 scoops Dunkin’ Dark, 12 cups water, which brews 10 cups coffee. 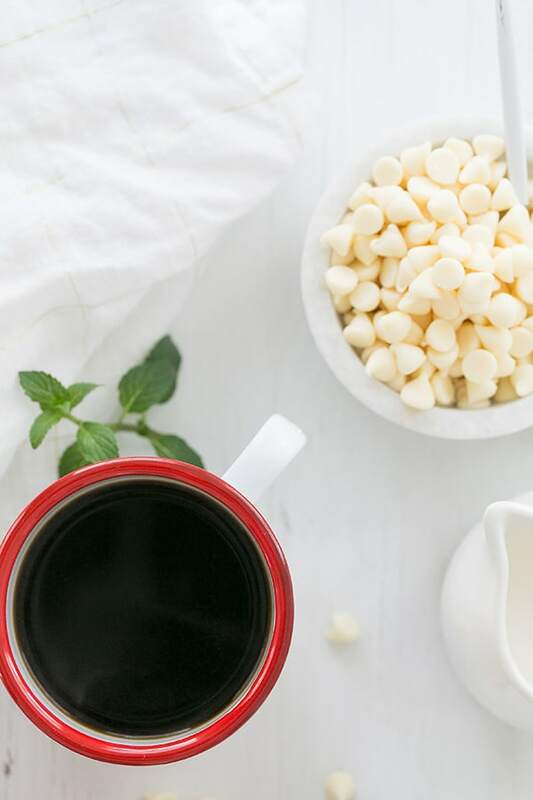 Pour the hot coffee in a mug and then add in the white chocolate morsels. 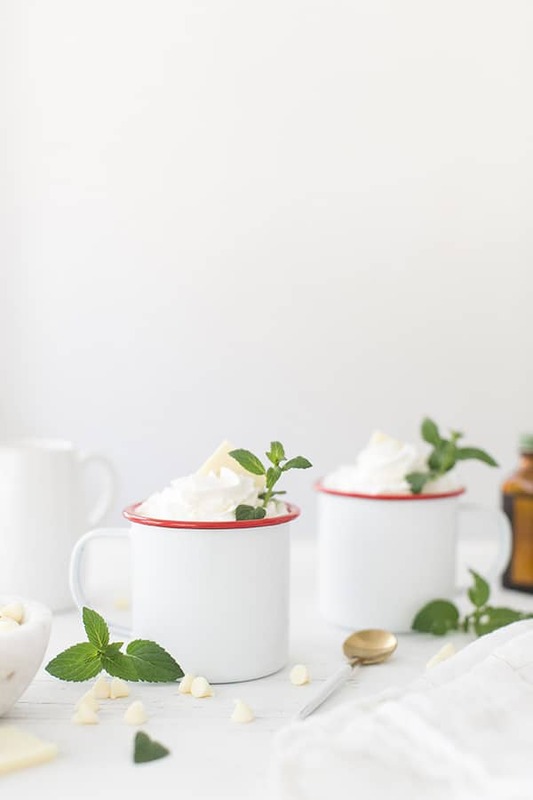 Stir until the morsels have dissolved, then add in cream and peppermint extract.